We hope y'all had a meaningful Holy Week. Now time to process those reflections on the mat! 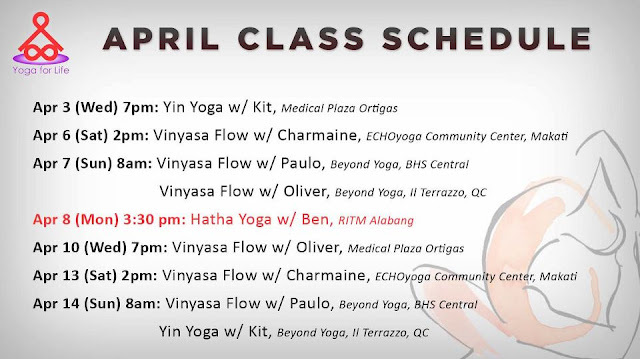 Check out our schedule of classes for the first few weeks of April. ALSO, we are so happy and grateful to have been welcomed by the Research Institute for Tropical Medicine (RITM - http://www.ritm.gov.ph/) We now have Community Classes in the South. Hope to see you all soon! Namaste. What happens during HIV testing?